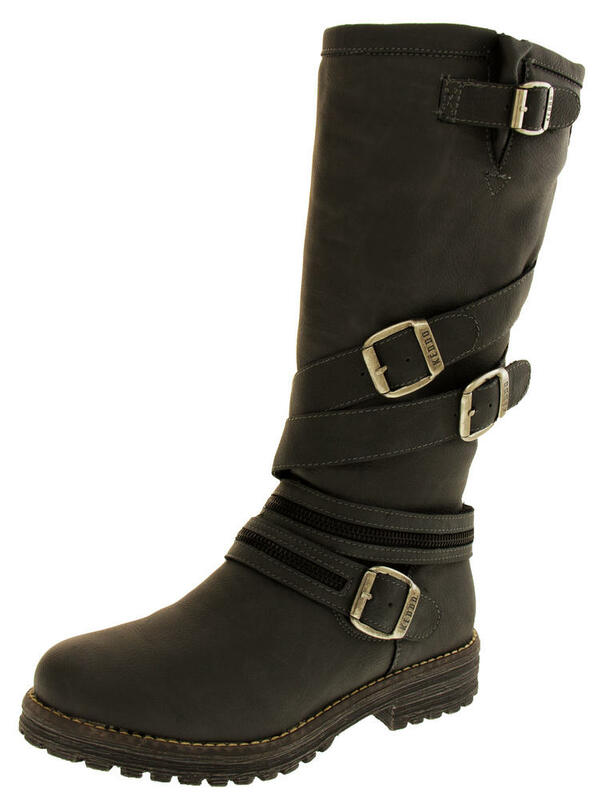 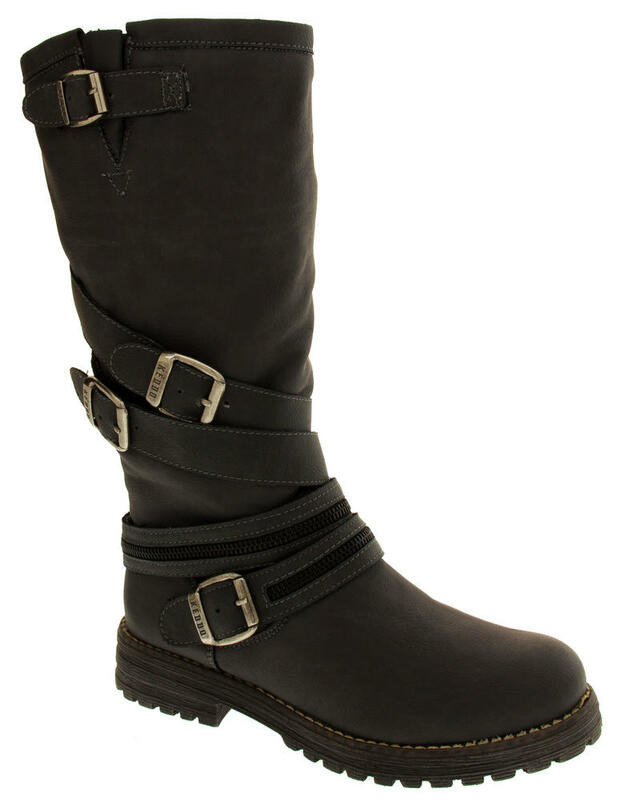 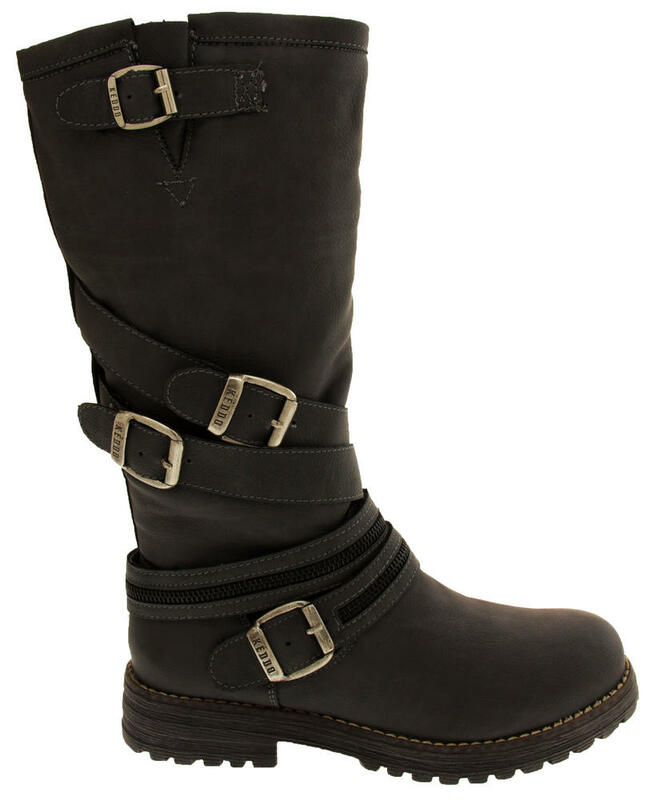 These biker style boots have a luxury faux leather upper, with a decorative buckles and straps to side. 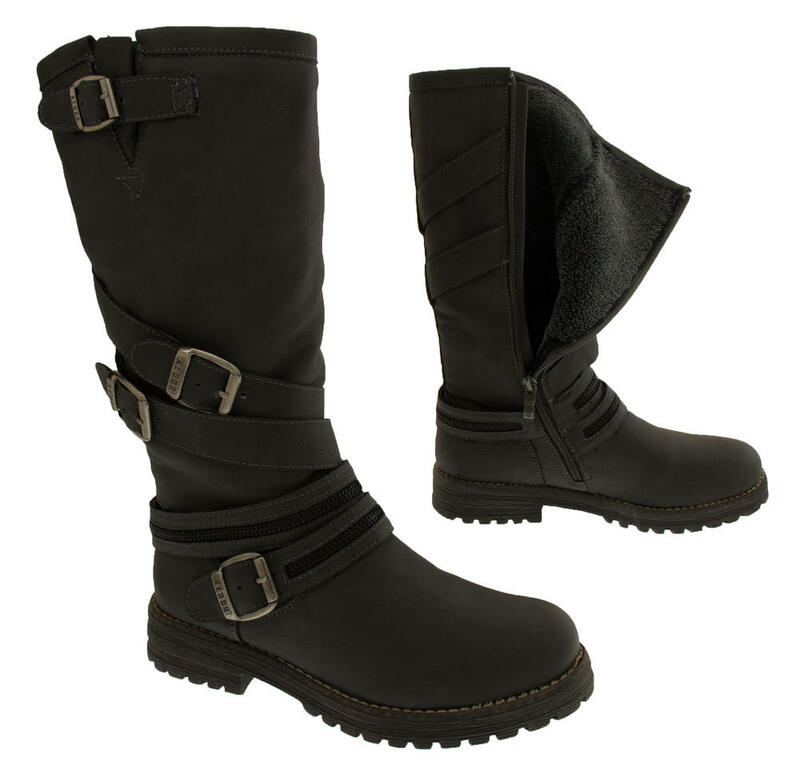 They are lined with real sheeps wool and will keep your feet toasty even in the coldest weather. 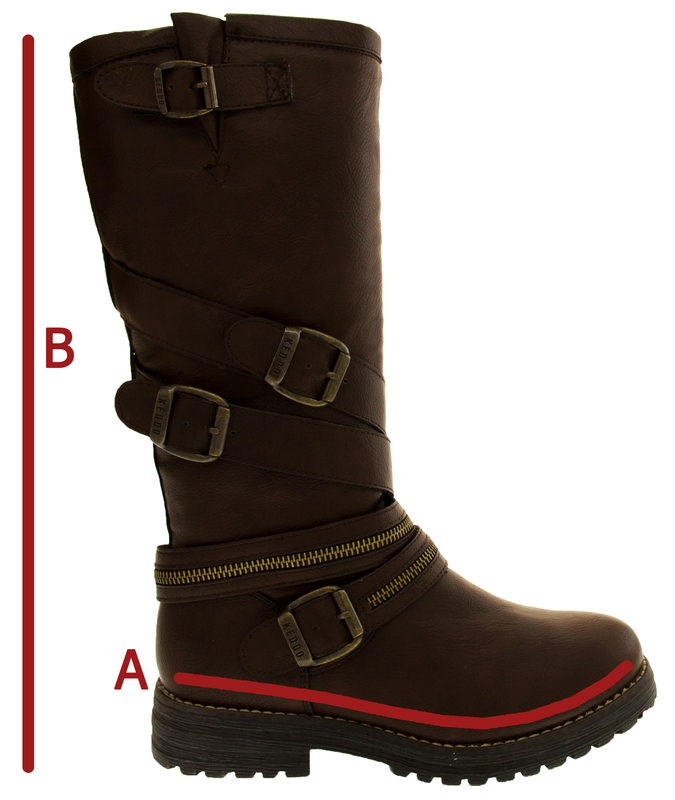 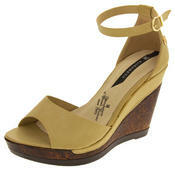 They have a substantial outsole with deep grips below, and a quick and easy zip fastening to the inner leg. 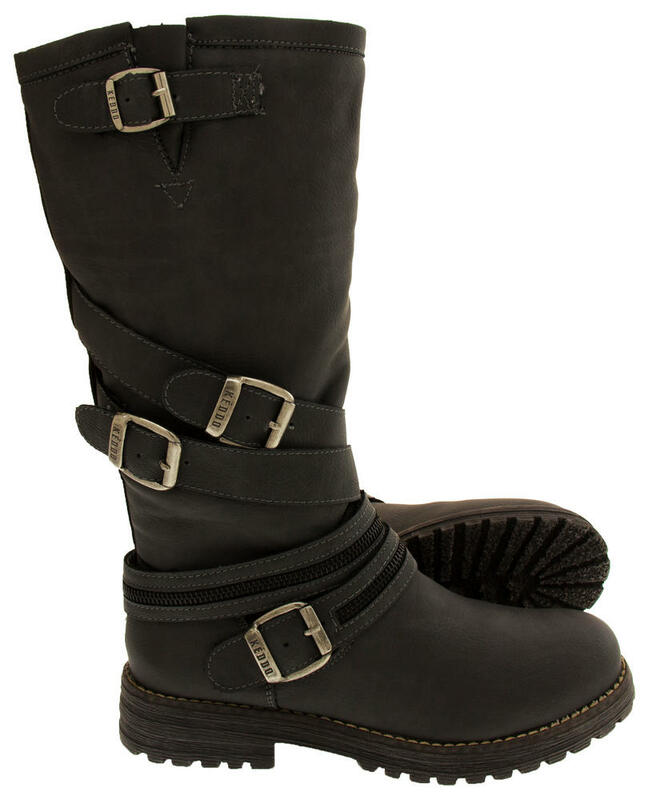 You don't need to look anywhere else for luxury warm winter boots!